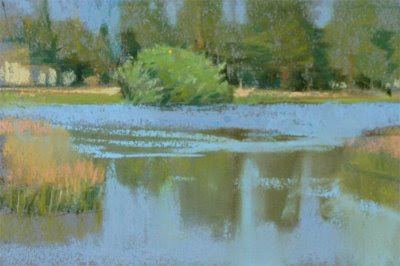 starting me into working with pastels, as it is one of the first places I explored working outdoors with this messy, crumbly medium, while I was working on "A Bug's Life". But such gatherings are also about family, and my efforts there began to diminish in favor of being less isolated. 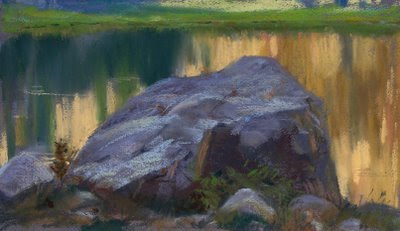 This year, I was able to paint with my daughter, which was as good as an excuse as any to sit by a pond, or a high mountain lake, with good company at hand. We had a few days of thunderstorms, which ignited over 400 fires throughout the state. The air quality went from high desert clarity to a bad day in L. A. overnight. These were fairly quick and small pieces from two afternoons of work. Nothing serious, but always fun to immerse onesself into the problems at hand. 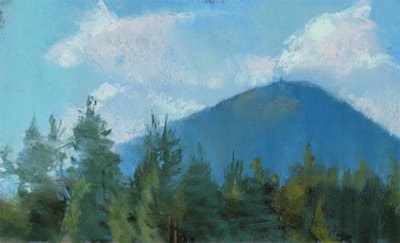 A talented colleague of mine, Sharon Calahan, has been ensconsed in the NE corner of Oregon for the last month or so, painting almost every day. She started a blog, so you can see what she's up to. There's some real gems on there. Check it out! 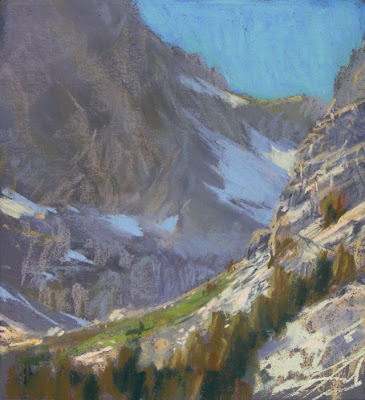 In a week, I'll be headed into the Sierras for my fourth year of backpacking and painting with 10 other likeminded souls. With mules hauling your gear in and out, and a terrific cook, it is not a journey of deprivation, but one of relative comfort in a region of extraordinary beauty. 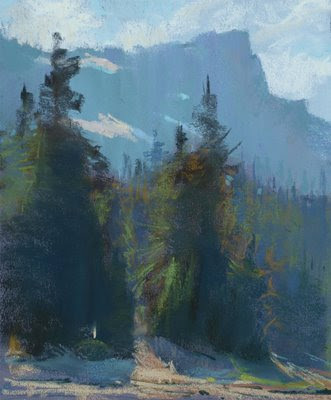 We'll be painting in the Ansel Adams wilderness for 6 days. 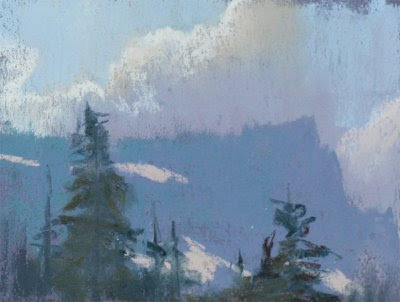 Here's 2 pieces from the same region on our first trip there in 2005.